I have been doing a TON of knitting recently, mostly due to a crazy travel schedule. Last weekend though, I got some good wheel time in and it was so refreshing! 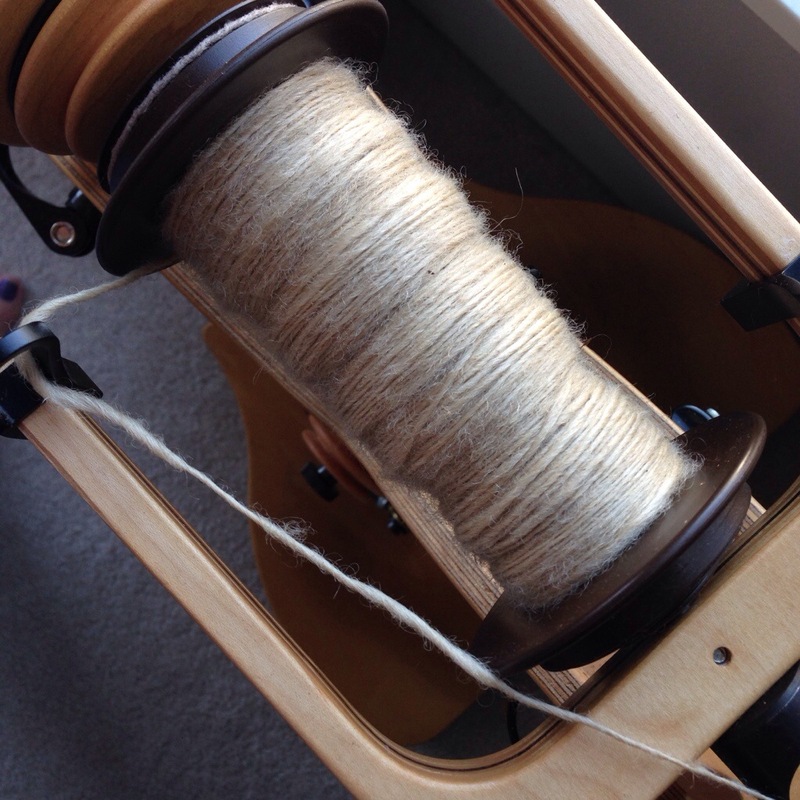 I’ve spun my way through several fleeces this year and I’m on the last bit of my remaining one. The pic above is dyed with ferns from our local park, and the fleece is from a farm about two hours away. Talk about local! 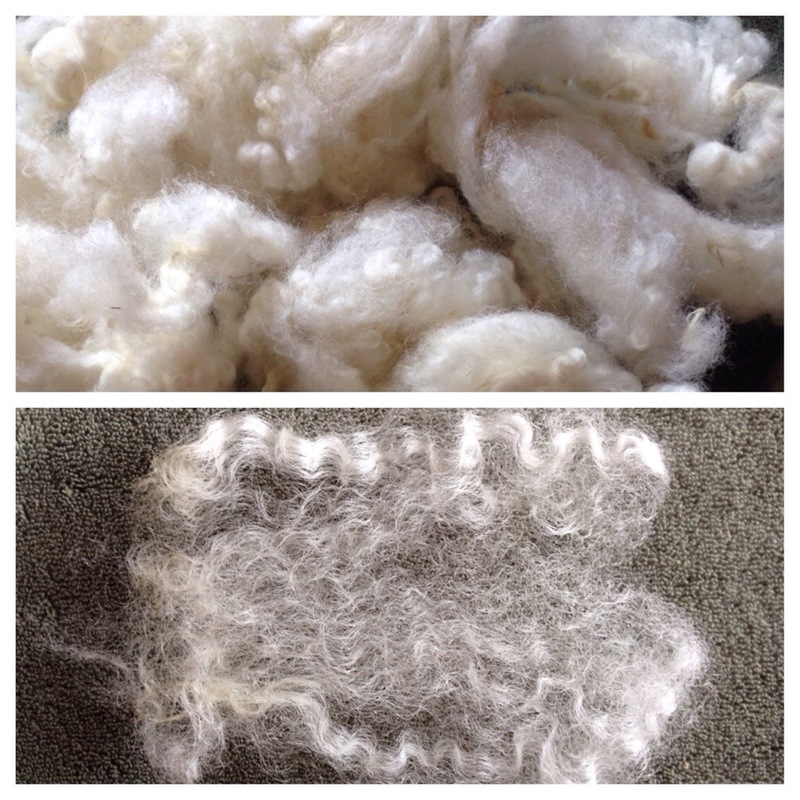 I have a plan, too..for urban spinners like me, so if you are interested in learning more about fleece processing, stay tuned. I’ll make the announcement next week! In the meantime, I’ll be posting pix of the farm visit after Sunday. I heard a rumor some lambs have been born..can’t wait to see! This entry was posted in Fleece Processing, knitting, Spinning and tagged handknit, handspun, knitting, raw fleece, Spinning by Leah. Bookmark the permalink. Ok, you’re tempting me to take out my drop spindle and get a move on!!! Yeah!!! Post some pix once you get going on it!! What sort of color do you get out of the ferns? A little hard to tell exactly from your photo. I think it depends on the fern and the mordant. I used vinegar, and mine ended up being more of a heavy beige with a slight green to it. Trial and error for me at this point, but the pic just doesn’t capture it well at all! I recently dyed with sword fern and attained a bright mossy green. I used an alum mordant and about 20 times the plant material to fiber. I wonder if part if the difference for me was using vinegar instead of alum? I would have preferred a mossy green, but it turned out ok.. It is probably the obscene amount of plant material that I used. I think most people reliably get cream with alum and green with a pinch of tin. I never really care- it is fun to experiment.